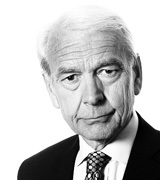 John Humphrys - Britain’s Defence: What Do We Want? February 01, 2019, 4:55 p.m.
It’s as perennial as drivers finding themselves snow-bound on Bodmin Moor in a winter storm. Every year defence chiefs complain that they’re being asked to run the armed forces on a shoe-string, and every year MPs complain that the suits in the Ministry of Defence haven’t got a clue about financial management. Eventually the row thaws and we forget about it all until the next one. But is it time to get a grip: to make up our minds what we really expect from our armed forces, make a realistic assessment of what it would cost and then decide whether or not we’re prepared to pay for it? The latest squall has blown up with the publication by the Public Accounts Committee of MPs of a damning report about the MoD’s latest plans. They want to spend £193 billion over the next ten years on updating their major equipment programmes: warships, submarines, jets, armoured vehicles and the like. The MPs charged the ministry with having ‘no coherent and credible funding plan’ for the project which the MoD itself already estimates could be underfunded by between £7bn and £14.8bn, figures which the PAC describes as ‘overly optimistic’. The report was a follow-up to a warning the committee issued last May. Its chair, the Labour MP, Meg Hillier, said: ‘In terms of poor financial planning, the Ministry of Defence is a repeat offender. The department’s progress with addressing the concerns set out in our last report … has been woeful’. She said that little had changed since she first became a member of the committee back in 2011 and in an exchange on Friday’s Today programme, Lord Dannatt, a former Chief of the General Staff and head of the army, did not challenge her account but said he ‘recognised’ it. In short, the military top brass and senior MPs agree that the current state of affairs is a mess. Part of the problem is that every time military spending plans hit the buffers no long-lasting solution is agreed. Instead, programmes get scaled back or deferred but with no clear decision to abandon them altogether. The financial numbers are made to add up in the short term but the underlying problem is simply shunted into the future, with supporters of the shelved plans continuing to believe that they will have to be picked up again one day. This is often inevitable because the ‘cuts’ can seem absurd even as they allegedly ‘save’ money. Here’s an example. During one attempt to make the MoD’s books balance, it was decided that we couldn’t afford to buy new F-35 fighter jets for the two new aircraft carriers already built. For a time it seemed that Britain’s defence capability would involve aircraft carriers without any aircrafts to fly from them. The uproar at this possibility inevitably led to the reinstatement of the F-35 programme. But every time such programmes are shelved or deferred (rather than abandoned entirely) the costs just get added to the ultimate bill. In the case of an aircraft carrier it was reckoned at £1m a day. In some ways the problems of the MoD’s budget are no different from those of most other spending departments that have faced huge cuts since the financial crisis ten years ago. Since 2010 the overall share of national income consumed by the defence budget has fallen from 2.4% to 2%, a record post-war low and barely affected by the emergency injection of a couple of billion pounds in last year’s budget. But there is, perhaps, one significant difference. In most other areas of public spending, notwithstanding political disagreement, we broadly agree what we want. Whether it’s health, education, housing or social care, there is a wide consensus that each could benefit from extra spending. As the country gets wealthier, more money should be spent on them even if, at any particular moment, there may be disagreement as to how much tax should be raised here and now to pay for them. But with defence there’s a more fundamental question: what role do we want this country to play on the world stage? So, if we are to avoid this perennial spat between those who complain we’re running defence on a shoe-string and those who protest at the standard of financial management at the MoD, perhaps we first need to agree on what we expect from our armed forces. Many believe our ambitions should be huge. They argue that Britain has global responsibilities, willy-nilly, as a permanent member of the United Nations Security Council and as the second most important member of the world’s greatest defence alliance, NATO. Both require Britain to be able to deploy armed forces that are among the best in the world, not just because of those wider responsibilities but because the primary function of our defence forces is the security and protection of the homeland. All this means, they argue, that all three elements of our armed forces, must be optimally equipped and that Britain must retain a nuclear deterrent. What’s more, they say, Britain is a relatively rich country – the sixth biggest economy in the world – so we can afford to have such ambitions. All that’s needed is to be honest about how much money is needed to fulfil them and to stop the penny-pinching that leads to the sort of financial mess highlighted in the PAC’s report this week. It’s all wholly avoidable, they say, if only we’d face up to the cost of our rightful ambitions. On the other hand there are those who argue that it is precisely overblown ambition that has got us into this mess and what we need to do is curb those ambitions and be more modest. They regard our sense of our continuing global role as little more than the relic of the time when we did indeed rule over a global empire. That disappeared with the Second World War but the fact that we were victors in that war has misled us into imagining we are still a global power. Furthermore, it is merely a historic anachronism, born out of that conflict, that we should still be one of the few permanent members of the Security Council. Nothing with regard to the shifts in global power that have happened since then justifies our holding on to that privilege and if we shed it, as realism requires, then we could shed the ambitions of still acting as a global power. Equally, if we stopped puffing ourselves up as the United States’ chief ally within NATO, we might stop engaging in the sort of hubristic military adventures that led to disaster in Iraq, for example. As for posing as an independent nuclear power, when even the military top brass speaks of ‘so-called’ nuclear independence, that’s just another absurd vestige of the status we may have had seventy years ago. The essential point to remember, they argue, is that we are actually very small. In population terms, our sixty-odd million is tiny in relation to a world population of seven billion. We should tailor our ambitions to match our actual size and our defence ambitions should be limited to the primary one of protecting our borders from attack, a task that fortunately is made easier than it is for many countries, simply by virtue of the fact that we are a set of islands. These, then, are the broad outlines of the cases made for our defence ambitions to be great or modest. If we buy the ambitious case, then the fact that perennially we are reminded what a mess the finances of our defences are suggests we need to spend more. And that, in turn means either higher taxes or foregoing expenditure on other valued public services. But if we are not prepared to foot the bill, or if we think that our defence ambitions are overblown and out-dated, then we must stop merely deferring or shelving defence programmes in the hope they will be readopted in less lean times, and actually start to cut whole functions within our defence capability. Which should it be? Let us know what you think.